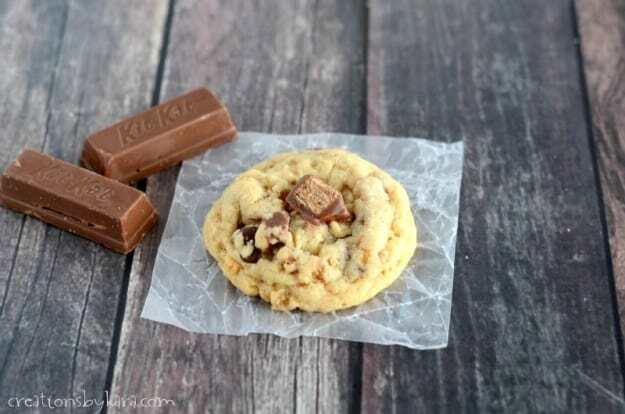 Chocolate Chip Kit Kat Cookies . 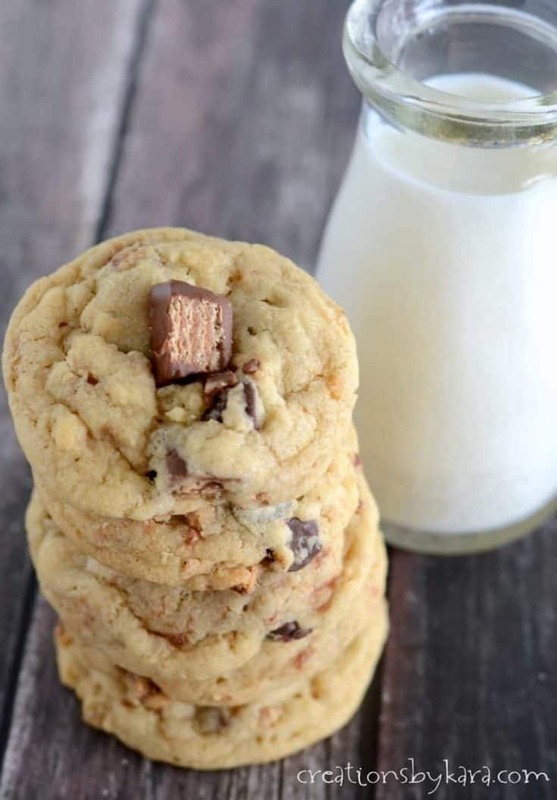 . . A yummy update on traditional chocolate chip cookies, with a fun crunch that you will love! I LOVE baking cookies, and one of my favorite things to do is experiment with adding different types of candy to our chocolate chip cookies. This time I opted for Kit Kats, and the results were spectacular! I love the crunch of Kit Kats, and I thought they would be mighty tasty in a cookie. I was right. These cookies are soft, chewy, and crispy, all in one. 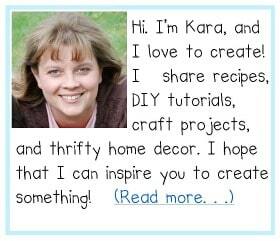 I even used Rice Krispies in the dough, and they add even more fun crunch! I like these cookies best served warm with the chocolate all warm and gooey. But they are also great after they cool and the crunch is more pronounced. Either way, they just scream for a glass of cold milk! 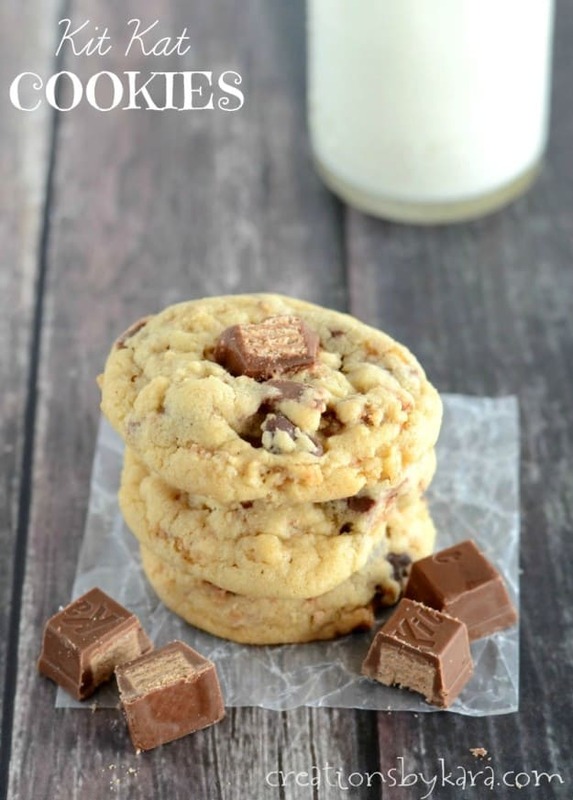 Chocolate chip cookies with crispy rice cereal and chopped Kit Kat bars. Cream butter and sugar in a large mixing bowl. Beat in eggs and vanilla. Whisk together flour, soda, baking powder, and salt in a small bowl. Add to creamed mixture and stir gently. Add cereal, Kit Kats, and chocolate chips. Stir till well combined. Roll dough in balls and place on lightly greased or silpat lined cookie sheets. Bake at 350 for about 10 minutes. Cool for about 3 minutes on the pan, then remove to cooling racks.